I hope you are having a great week so far! I'm in the midst of two final projects for school and really need to get in gear because so far, I have NO clue what I'm really doing. Marketing campaigns are a whole new world for me. Anyway, this little red bag is definitely my last fashion purchase for 2016, and I think I've picked wisely. The color is stunning, and I love the shape which actually holds a lot more than I expected. It pairs nicely with neutrals. I've always been drawn to this color combination for Fall and Winter, so I'm sure you'll be seeing it a lot this season. Are any of you taking a break from shopping for yourselves? I know it's hard to do with so many tempting sales! 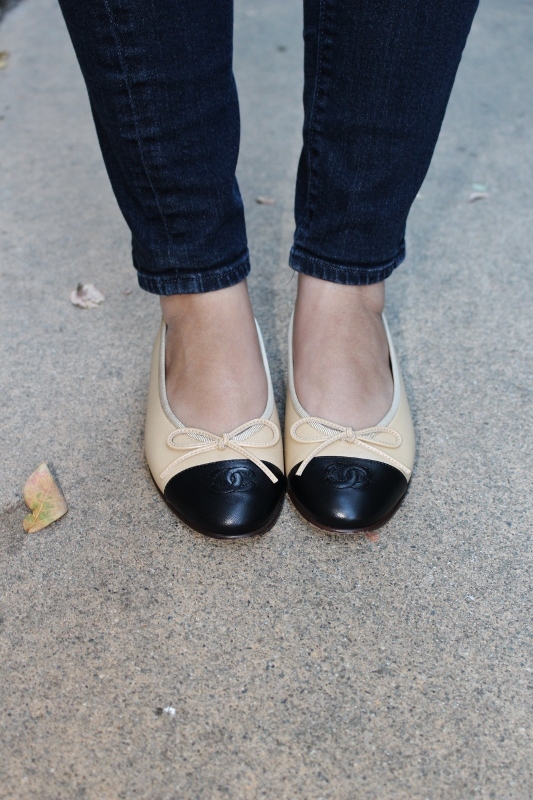 This bag is sooooo cute and I adore your chanel flats. 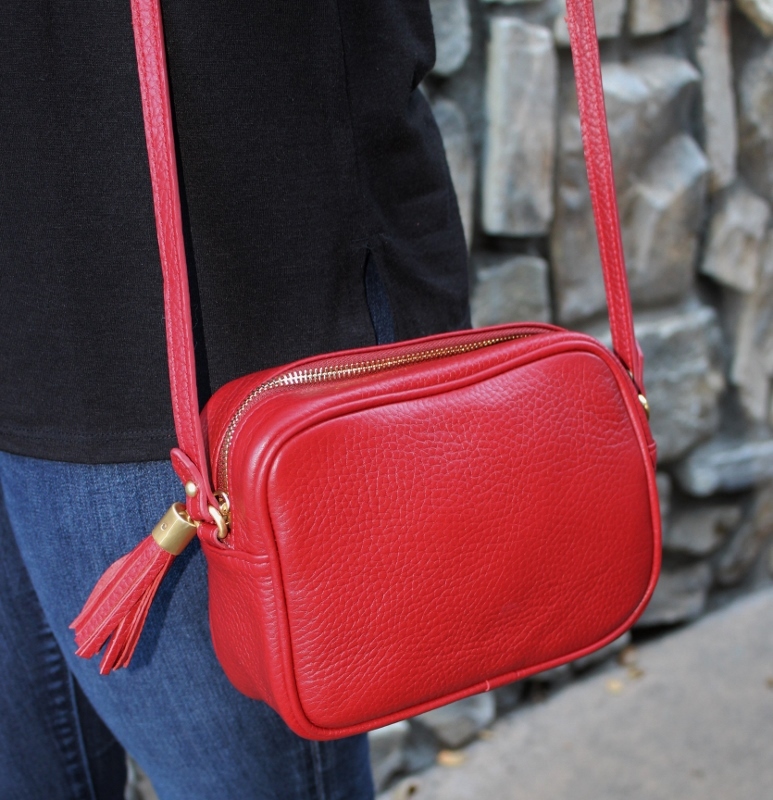 Your red bag is the perfect pop of color! 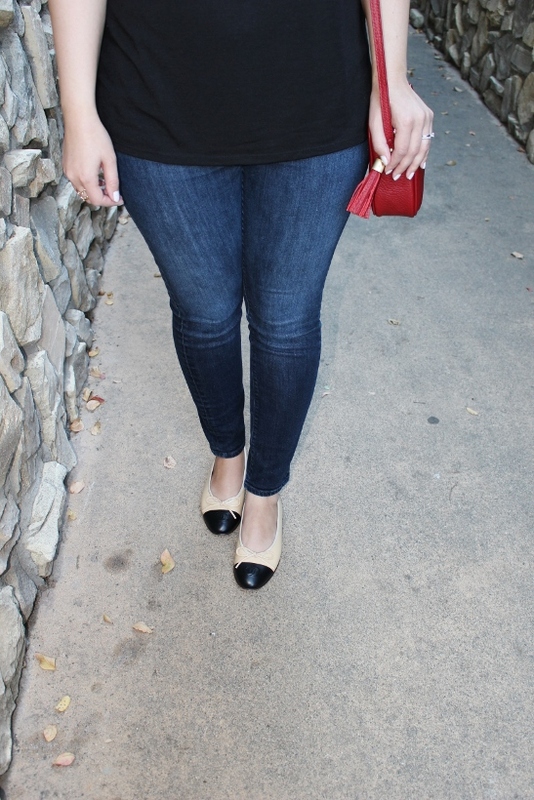 While I am not bold enough to wear a lot of red, I love it as an accessory! That bag is super versatile and you will definitely have it forever! I have eyed this bag in red! It is just such a great shape and reminds me of the Gucci one. This is definitely a classic pairing. I mean, do your shoes get any more classic?! Parisian vibes here. Good luck with school.